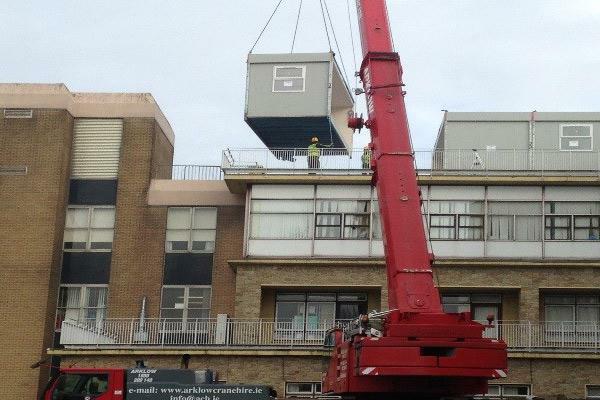 The HSE commissioned Instaspace to deliver a single storey administration building for Our Lady of Lourdes Hospital Drogheda. 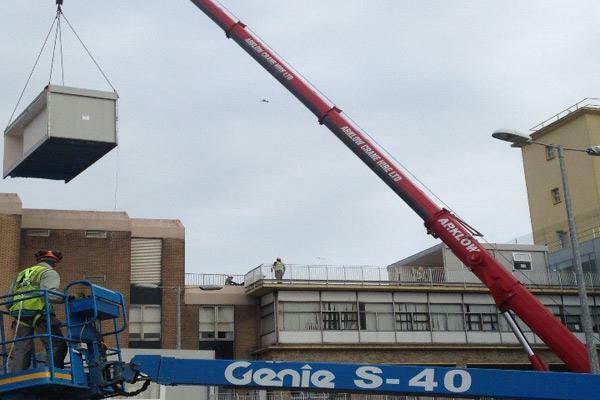 The project included on-site installation of a 110m2 modular, prefabricated building onto the roof top of the main hospital building within a time frame of 4 weeks. Instaspace manufactured, transported and installed two number surgeons offices, corridor area and link to existing hospital building.